In this coastal town, the time-honored tradition of reenacting the struggle between the Christians and Moors includes the arrival of the Moorish fleet. 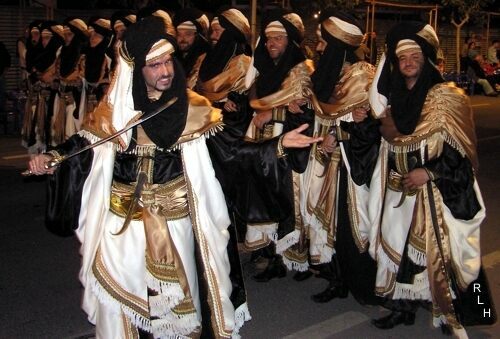 Moors and Christians festivals are common throughout Spain. 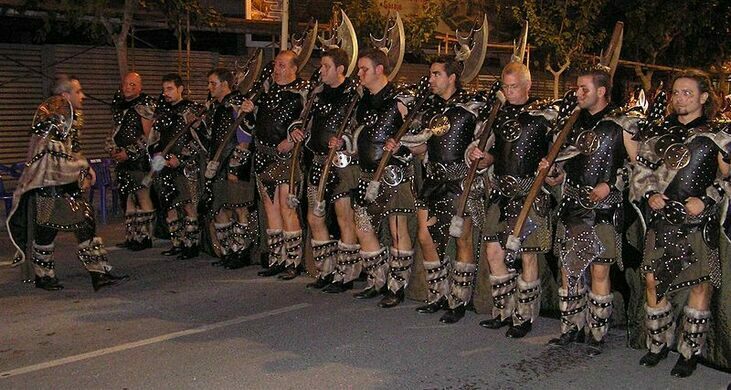 They commemorate the 13h century struggle between Christian kingdoms to the north of the Iberian peninsula and the Moorish occupiers in the south, which eventually resulted in the reoccupation of the whole of Spain by the Christian powers. Romanesque tower appears when water levels drop. 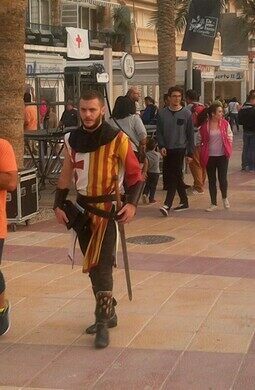 In many Spanish towns, bands of people representing various districts have for many generations annually dressed as either Moors or Christian knights to take part in week-long festivals of parades and mock battles. The various bands of each side of the “conflict” dress differently from each other and there is often great rivalry as to who have the best costumes. 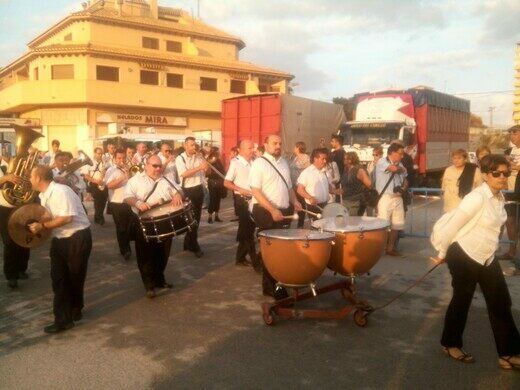 The festival in El Campello, a small coastal town near Alicante on the Mediterranean coast, is a bit unusual. 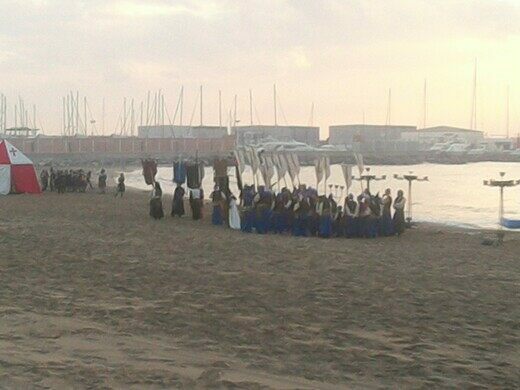 As a coastal community, they also incorporate into the festival a reenactment of the arrival of the Moorish fleet. 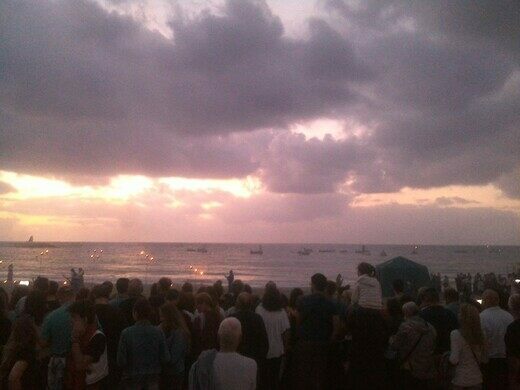 It starts before dawn, with fireworks and the firing of blunderbusses to announce the sighting of the fleet. As it gets light , the fleet slowly comes ashore with even more loud explosions and eventually a rather formalised mock battle ensues on the beach. 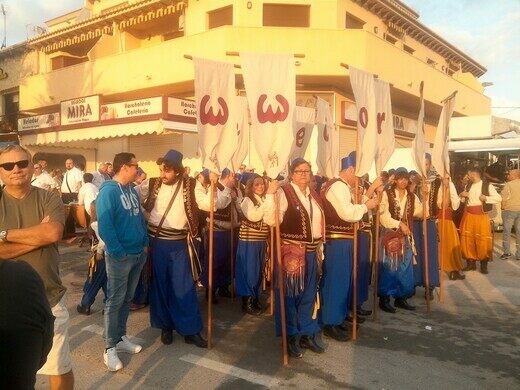 By about 9:30am this event finishes with a parade of the Moorish force as they march towards the coastal defence tower which is the focus of the celebrations. 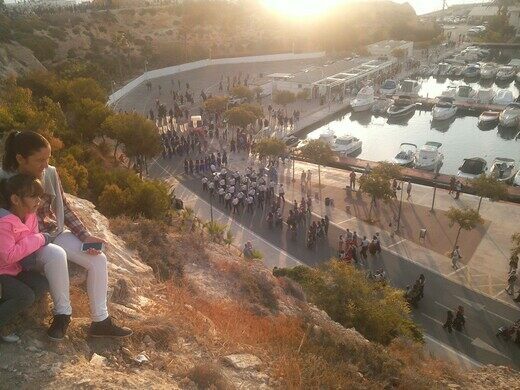 Parades and mock battles continue for about a week, but the arrival of the fleet is very much worth getting up before dawn to see (and hear). 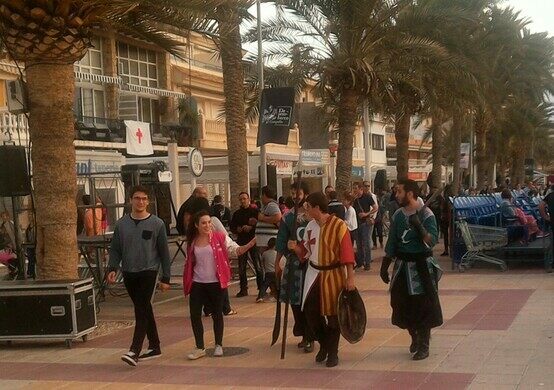 The dates of festivals far throughout Spain but in El Campello it is in around the second week of October. The landing of the fleet is on the second day. 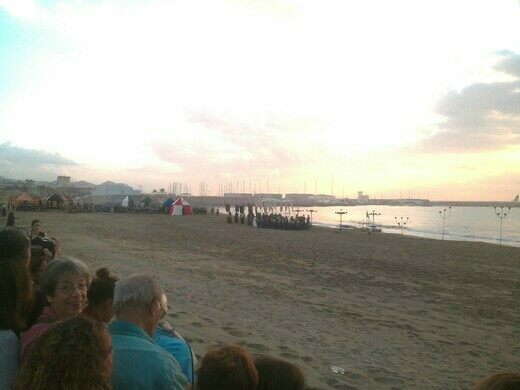 Arrive about 6:30 am if you want a good view of what is happening on the beach. 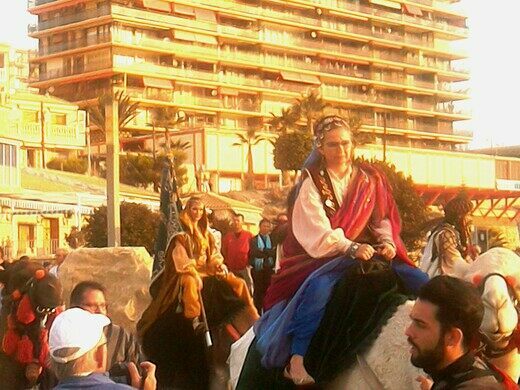 The legendary bathing site of a Moorish queen is actually part of a Roman fish farm. A well-restored ancient archaeology site gives a real feel for life during the Roman age. Fascinating exhibits of prehistoric and ancient artifacts displayed with a uniquely modern touch. This roadside monument commemorates the huge weapon built by an Ethiopian emperor's hostages. Two large eyes painted anonymously on a mountain overlooking the city pay homage to an old legend.